Ethnography of My Life: [Purchase] Got my Christmas Present! Hehehe, I want this for a long time and now I finally have it! 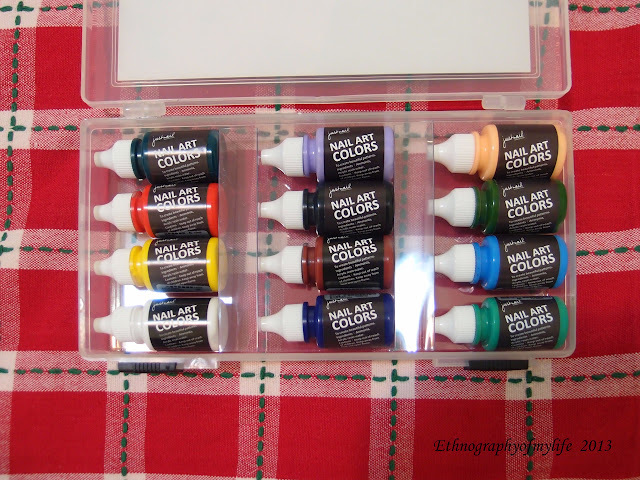 I want to have good acrylic watery paints for a long long long time! so happy to get this for my Christmas gift. Justnail is a Taiwanese brand, the same message oil I got in the nail up magazine. The package is simple but adorable :) Whole pack costs NT $675, about CAD $20. The pack contains 12 acrylic watery paints. 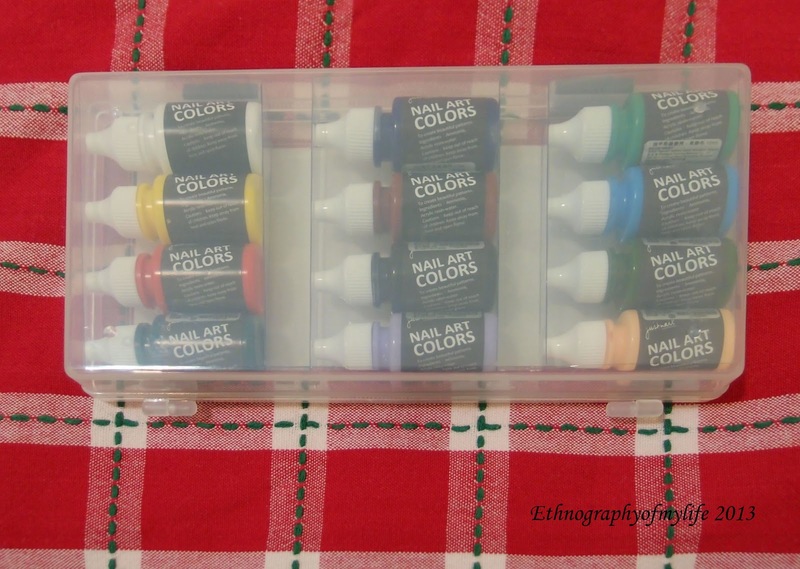 Unlike the regular acrylic paints, those don't require water when using it. E-Nail has similar products but much more expensive. In fact, I don't really care about which brand as long the quality and quantity are there. Justnail also has other packs, I chose this one, because it has black/white/yellow/blue/red fundamental colors. I couldn't make up my mind to get this, but my BF told me to get it (err....he didn't pay for it). I am so happy, this is the best Christmas gift for myself ever! 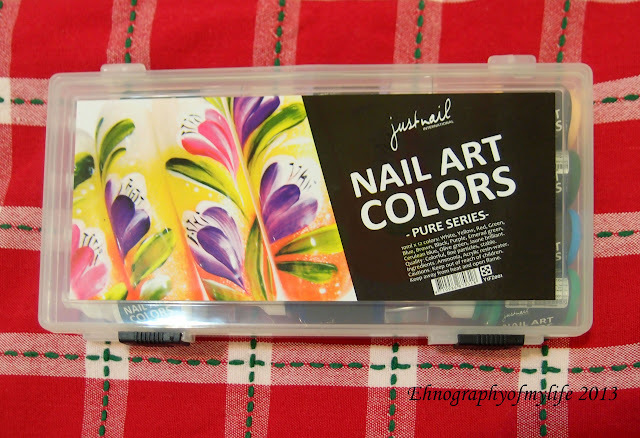 I can see I will get a lot of manicures out from this pack and this worth every single penny. Yaaaaahh!